Our Gold litter was born Friday 22nd April to Ch. Watersedge Little Black Dress (Sohvi) and our lovely imported Swedish champion, Ch Herding Instinct's Nakke Nakuttaja (imp SWD). 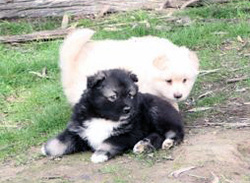 We had 2 girls and 4 boys, with a mix of creams, black and white and wolf sable. More info is below. 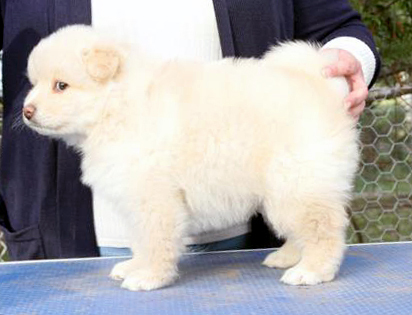 This litter is a repeat of our Davvir litter, which produced three Australian conformation champions, one of which also has his herding title (HT) and is working on a tracking title. 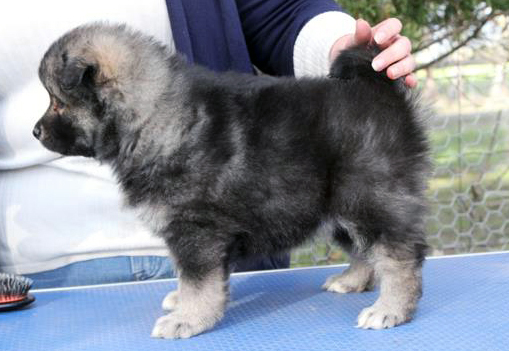 We are very pleased with the results of this litter and hope that a repeat will produce similar quality. 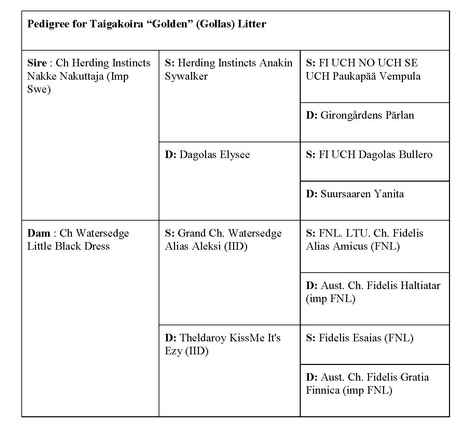 Both parents of our Gold (Gollas) litter are hip and elbow scored International Grade A and either tested or clear by parentage of PRA and Pompes. Both parents have also been Australian Eye Scheme (ACES) tested clear for cataracts. As always, our pups will be health checked by our vet, microchipped, vaccinated, ACES eye tested and be registered with DogsVictoria. 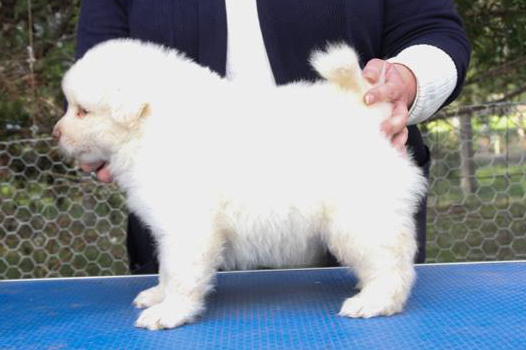 We offer lifetime breeder support and encourage our Lappie puppy owners to keep in regular contact with us. 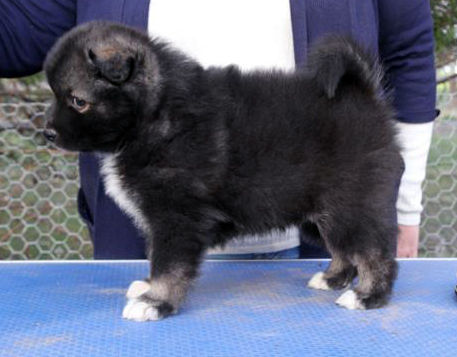 Sire: Ch Herding Instinct's Nakke Nakuttaja (imp Swd) "Osku"
Pompes tested clear 2015, PRA clear by parentage. Osku is our sweet natured and gorgeous boy that we imported from Herding Instinct's kennels in Sweden in 2014. He has done well in the show rings here, taking multiple Best of Breeds (including a massive 25 point win in 2015) and gaining his Australian championship within 12 months of arrival. 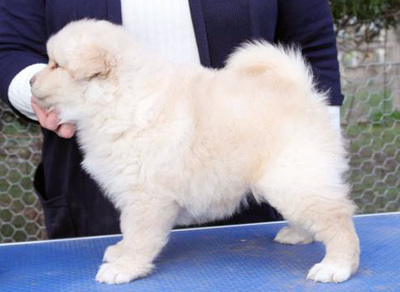 More importantly, Osku has shown to be an asset to our breeding program, with excellent health results and what we feel to be the ideal temperament for the breed. 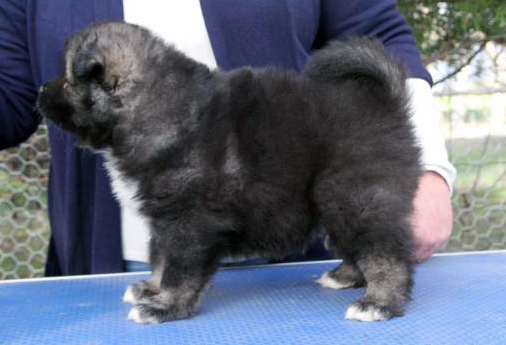 Dam: Ch Watersedge Little Black Dress "Sohvi"
Pompes tested clear by parentage, PRA tested clear 2009. Sohvi is our grand dame in the house and keeps a close eye on everything! She is, however, very sweet and always ready for a cuddle from us. Her striking markings ensure that she is always noticed, and she has had a number of successes in the show ring, gaining her conformation title in 2011. 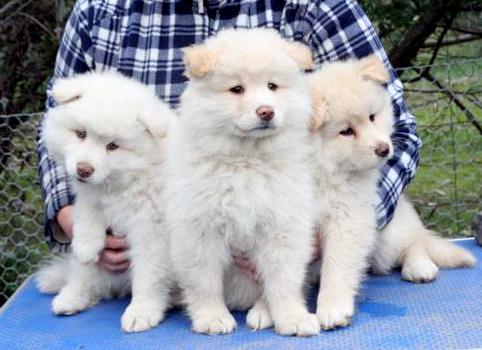 In breeding, Sohvi has produced pups that have excellent bone and strong heads and great health results, with multiple champions from her line. This will be Sohvi's third and final litter, after which she will retire and become a lady of leisure. Please find below pics of our lovely babies!